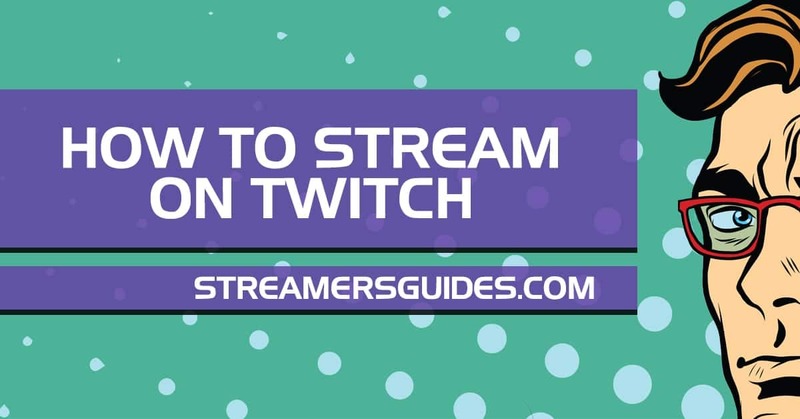 Hey there, I’m Nikitheliger and i’ll show you how to stream games live on Twitch, the best streaming tools, settings and everything else you need to know about Twitch streaming from beginners to advanced. I have used many weeks, months and now even years to learn all the things that a beginner needs to know about streaming. This guide is different than any other guide available in the internet since it’s evolving all the time. When i add new articles or find an incredibly good resource that could help you out. They will most likely get added to this same page with a -New- tag. Not those bad ones though.. Only the good stuff. When a resource get’s old they will be removed also. If you want to keep updated with the latest changes you can join the newsletter on the bottom of this article or follow me on Twitter or Facebook so you won’t miss a thing. So that you don’t end up in a situation that many streamers do when they first start streaming i’m putting this first. The name and brand is important thing to create first since it’s really hard to switch later on. It will cause you to lose followers that you might have already gotten when starting out. So why not just create it from the start? Are you happy with it after 2 years? XDXX69DDlolol might seem really good now but how about later? Can you create social media channels for that name? You can also use this free tool to get some name ideas for your brand and this tool let’s you check if the social media channels are available. Use your imagination and choose the name that is suited for you. Now we need to head over to Twitch. You are going to need to signup so that we can start setting up your streaming software. Here is a good run through about the process of creating your first Twitch account. You can also show this for your Friends and Family so they can follow you also! Okay now we are getting into some action! OBS Studio is an open source free streaming software that is the most popular one to use and for you it’s really good since there is a lot of tutorials how to set it up. There is also one really awesome version of OBS Studio that just came out! Which is StreamLabs OBS – or in short Slobs! With Slobs you can literally get your stream going in couple minutes. So if you want to get started quickly i highly recommend that. Streamlabs also offers other features that you are definetly going to need. Like: Streamlabs chatbot, donations, alerts and a lot more. One of the most important things in streaming is the look of your overlay the feel of the stream in itself. Creating or finding a professional Twitch overlay isn’t that hard these days! You have a ton of free options to choose from and you can edit them as much as you need. You can find some awesome places and tools just under the video. Think about what kind of viewers you want to get into your channel for example: Minecraft doesn’t need grazy designed layouts most of the time since the game is pixelated in itself. But if you try to use the same layout for new games it’s going to look pretty fugly. I highly suggest you to check out some of your favorite streamers and mimic the style that they already have. Stream full of moving teddy bears isn’t really the way that streamers use in their streams overlays. Minimalist style is the most used currently so that viewers can see the gameplay much better. Check this first so you know how to edit stuff in OBS Studio. If you decided to use StreamLabs OBS – Check this video out. You can also create custom layouts with the Twitch Overlay maker by NerdOrDie. If you are going to design your own. Check out the current Twitch Streamer – Graphic Sizes. Your stream channel is one of the most important things to take into account. That is what people see and watch when you are offline and where the viewers will go to learn more about you. Good things to include there is: About me, Pc setup, Your schedule, Bot commands and your social media links. Networking and marketing your channel is really important thing to start learning from the start. You definitely don’t want to end up being The Twitch streamers who spend years broadcasting to no one. For you i would suggest to get your hands up on Social Media accounts everywhere you just can. You don’t have to use all of them but it’s good to have for the future. Most important ones are: Discord, Twitter, Facebook and Instagram. You can later on start a Steam group and even become a YouTuber. Marketing is such a broad subject that i will cover quite a lot of things for that in future posts. So make sure to check out the Twitch Marketing section on the page regularly. Twitch bots can greatly help you out by promoting your content and keeping your stream chat clear of trolls and odd links. Setting up your first twitch bot is pretty easy also these days! They are already pre-filled with commands that help you and your moderators. You can of source edit these commands and add your own commands. Most popular and oldie goldie that everyone has used is Nightbot. When your stream evolves to the point where you need more functionalities it’s time to dig into the Twitch Bots series that could help you out. Now it’s time to get those really cool looking follower notifications going on. For starting out i would suggest you to use StreamLabs which is the most popular alert system for Twitch Streamers. Many of the all-in-one bots also include these kinds of systems that you can get working really nicely. So good thing to think is. Do you want to use couple places or do you want to just use one place? This has been really talked about subject for years. Some twitch streamers start with webcam and some don’t. After checking out many streamers and watching them grow i can honestly say that webcam helps your channel to grow more quicker. The people in your channel can see your reactions much more better than without one. Which is a pretty huge deal. Marketing your channel is also more challenging without one since you need to create pictures for going live notifications and such. Nowadays going live notifications that get the most likes, comments and such seem to work the best when you take a selfie or make a little intro video about the stream. So you should you use a webcam? YES! But it’s up to you of source. Mic is one of the most important aspects. Nobody want’s to hear all those clicks as it’s really annoying. There is an easy fix though! You can either get a mixer where you can adjust your voice in real-time or you could use a free program called Voicemeeter Banana that everyone uses. Awesome! We got those annoying clicks all ready away. Now it’s time to learn the talking aspect. It’s actually pretty easy when you get the hang of it. No one really likes to watch a stream that is all quiet. Well maybe some really PRO e-sports stars can get away without one but are you one? Silent streams are like watching TV or Movie without sound. That would be horrible and not so interesting at all. If you are planning on streaming the most popular games your going to most likely have problems attracting people for your stream. CS:GO, League of Legends, Fortnite etc.. Usually the TOP 10 played games on Twitch are not that good for starting out streamers. There is so many streamers on those games that scrolling down the list would take ages and people these days do not have a long attention span. So the streamers on the bottom of that list are not most likely going to get any viewers from that list. It is doable though to succeed in those categories as well if you have a good following or you are a master in Twitch Marketing! I would suggest you to stream games that you enjoy and that are not in that TOP 10 list. If you want to know how to be badass at marketing your stream. I created an example for Streaming and Advertising with Apex Legends. How to check what is a good game and bad game to stream? Twitchstrike.com – Is an awesome software for this. Some streamers do a Twitcheroo by accident and some intentionally. So Twitcheroo is pretty common thing in the streaming world. First you start to play a game where you get to the top of the list quite easily and start to attract viewers. Then you just stream and have fun. When your stream has more viewers you can do a Twitcheroo. Which means you can change for another game that has a bigger audience. When you change the game now your stream appears higher on the list so you can get even more viewers! Yes! Make it. 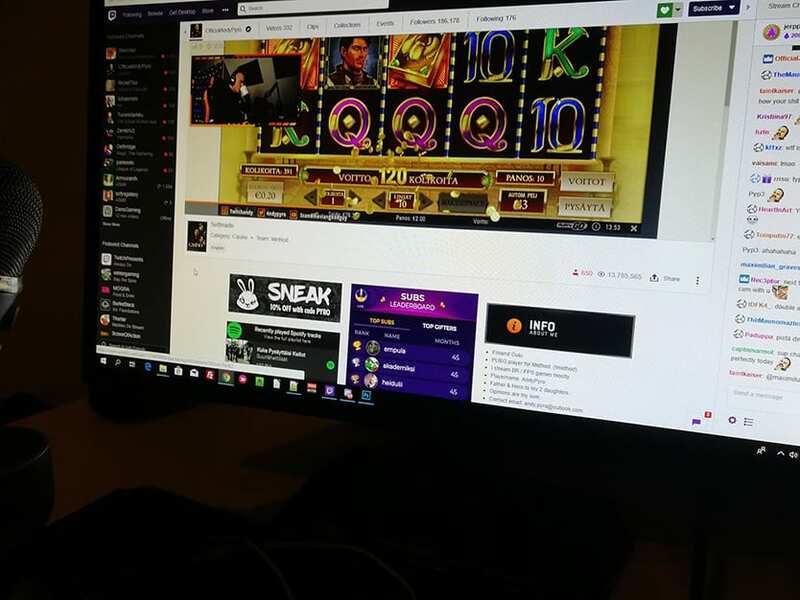 Twitch Streams are like TV. When you start to like some series or a tv show and it comes out at set times on a weekend or day you start to look forward to it. The same goes for streams. When you create a streaming schedule people will know when you are online and make time to be there to watch the stream. If you stream little bit on the morning, then little bit on the evening. Some viewers might miss some action that they would like to have been part off. After you have had a schedule for awhile it’s pretty funny when your viewers will start to call you out by being late 😀 But! This is also good since they are expecting your stream which also bring more hype in Twitter and such. But please don’t always be late.. Don’t be that person..